Today, Nickelback released their ninth studio album 'Feed the Machine' via BMG. 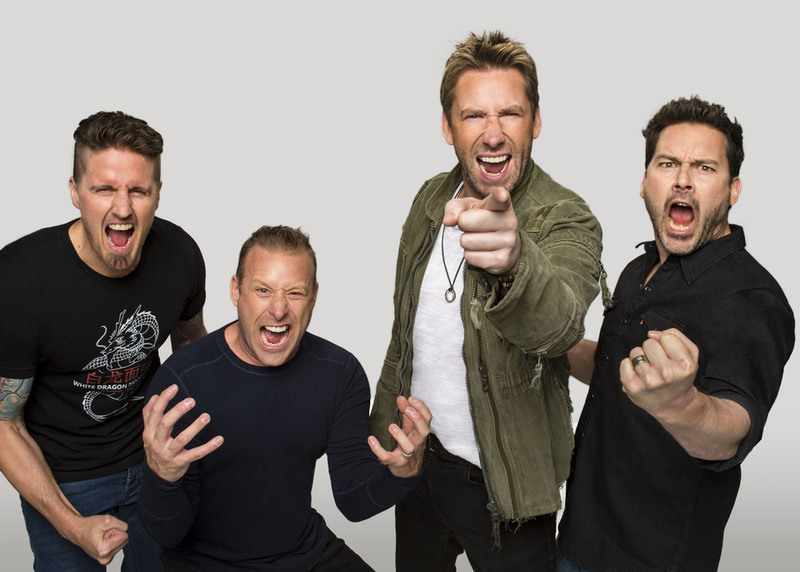 Recorded in Vancouver and produced by Nickelback and Chris Baseford, the new album features singles “Feed the Machine” and “Must Be Nice” as well as “Song on Fire,” which the band performed live on the TODAY SHOW this week. The album is currently available in stores as well as across digital and streaming platforms. “'Feed the Machine' is about thinking for yourself and not taking the phrase “believe me” at face value,” said Nickelback guitarist, Ryan Peake. This album showcases a more aggressive and urgent sound from the band. With the title track and lead single, “Feed the Machine,” Nickelback explores the struggle for people to think for themselves on a variety of levels within this tumultuous digital fueled era. Introspective and timely, the track offers a pulsating slice of the Nickelback aural experience. With that gauntlet thrown, the second track off the album demands the listener throw a “Coin for the Ferryman” on a road trip that promises, “we can make it but we take the chance of never going back home,” while the single “Must Be Nice” provides listeners with 100 mile an hour in your face rock-n-roll. The album does not shy away from also touching upon matters of the heart. On “Song on Fire,” the band talks about the need to love or be loved, your heart yearning for something that your rational mind knows is impossible to hold onto. Tickets for the band’s North American 'Feed the Machine Tour' (produced by Live Nation) are currently available. The tour kicks off June 23 in Noblesville, Indiana, and continues with 45 dates across North America including stops in Detroit, Los Angeles, Chicago, Toronto and Vancouver, with more dates to be added along the way. See dates and get tickets HERE. Get 'Feed The Machine' now HERE.